Driving Directions: From Hwy. 63 on the east edge of Kirksville, MO, take MO-11 east 3.7 miles, turn right or east on Co. Rd. 264B/Seven Hills Way for 2 miles to Banker Run Way, turn left or north for 1/2 mile to the farm. You've been outbid by m****s! by YOU! You've been outbid by m****7! by YOU! You've been outbid by p****y! by YOU! 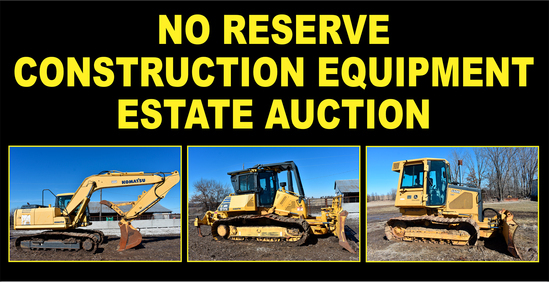 Champion 730A motor grader, cab, 12' blade, scarifier, 14.00-24 tires, Champion Pulser trans., 1,569 hours, SN 730A-137-145-2228-2 - NOTE machine runs and the hydraulics work but the transmission will not engage to allow it to move. You've been outbid by t****d! by YOU! You've been outbid by o****d! by YOU! You've been outbid by c****c! by YOU! You've been outbid by a****l! by YOU! Case 4690 4wd tractor, 4 hyd. outlets, 3-pt. hitch, 1000 PTO, 20.8-34 duals, 3,315 hours, SN 8859728 - Clutch makes a noise when engaged, runs and drives. You've been outbid by 1****3! by YOU! You've been outbid by k****r! by YOU! You've been outbid by D****3! by YOU! You've been outbid by s****s! by YOU!